Install the positive crankcase ventilation tube (2). Connect the 2 positive crankcase ventilation tube connectors (1). 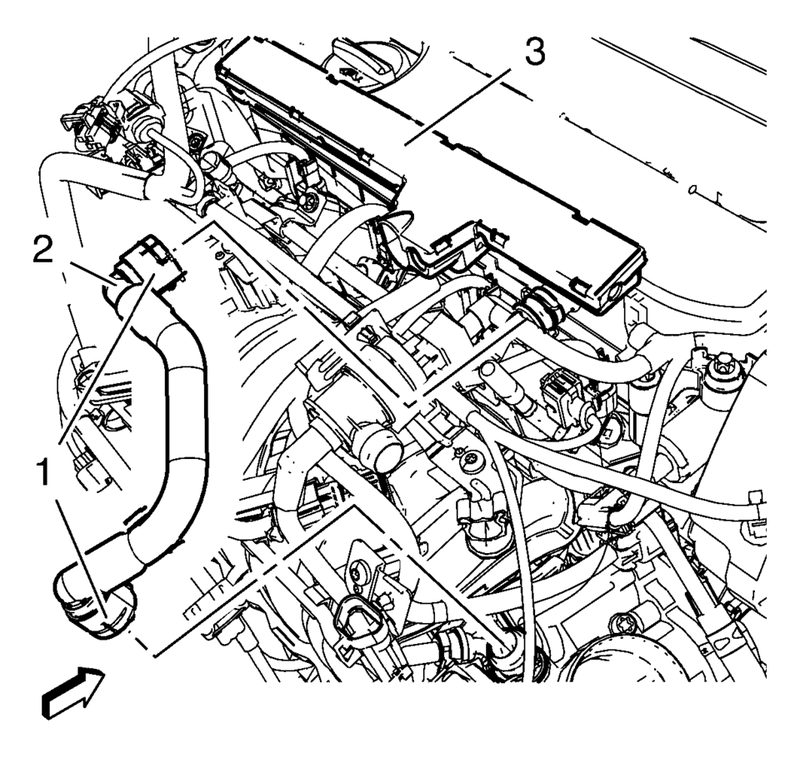 Clip in the ECM wiring harness guide (3) to the cylinder head cover.